Columbia's inline HL7200 and HL9200 palletizers provide an unmatched level of safety, flexibility and performance. Both models offer the unique capability to add new patterns at the HMI using either soft turning or Columbia's patented VPT technology. The configurable layer tables provide accurate and stable layer forming with speeds up to 200 cases per minute. HL7200 is a high speed, inline palletizer that includes a combination of standard features that makes the HL7200 ideal for gentle handling of current and future package types and sizes. Watch the HL7200 stacking apple crates. Watch the Pack Expo interview and learn more about the HL7200. Watch the HL7200 stack cases, trays and shrink bundles. Maximum Performance up to 200 cpm. HL9200’s flexibility starts with the easy to operate Product Manager HMI where the operator can create new patterns or modify existing patterns that will automatically adjust the programmable laner and smart squeeze technology to ensure gentle product handling and stable pallet loads. Watch the HL9200 stack multiple package types including cases, bundles, shrink wrapped trays and more! 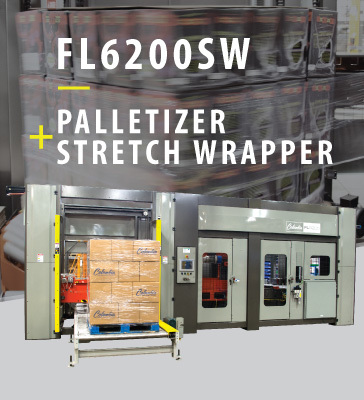 Watch the HL9200 high speed palletizer stack shrink bundles of beverage cases. Watch the HL9200 with patented VPT technology turn and orientate beverage cases at high speeds. UNMATCHED IN SAFTEY, FLEXIBILITY, AND PERFORMANCE. 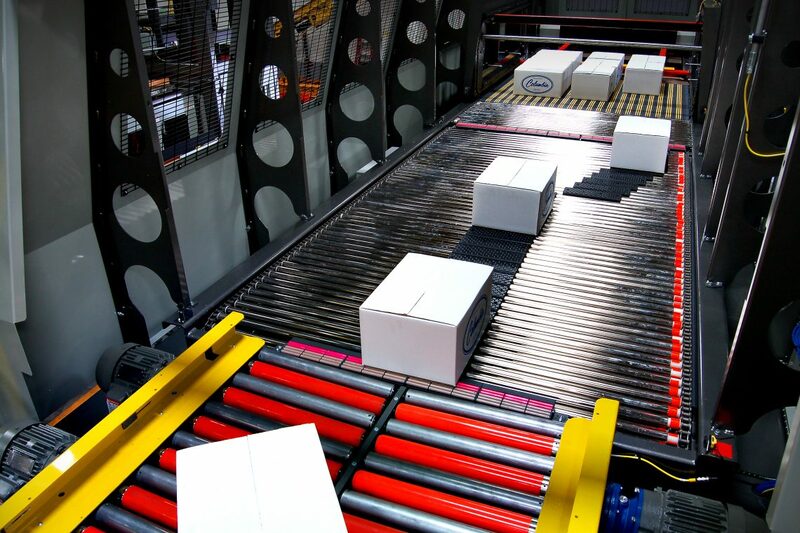 Our easy-to-operate palletizers set the industry standard for speed and performance. 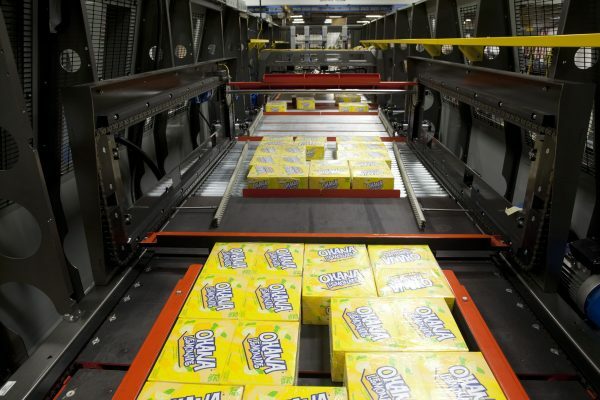 WHAT IS AN INLINE PALLETIZER MACHINE? Inline palletizer machines use a continuous motion flow divider and has an infeed elevation from 100" to 144" or higher and a typical discharge conveyor height of 18” to 30”. Inline palletizers are considered high speed and generally build loads from 70 to 200 cases per minute depending on package size and layer pattern.